I work with a handful of select clients per month (mainly remotely) to create the written content that helps them communicate deeper value to their customers. Here are a few examples of my writing work for websites, blogs and other online marketing materials. I’m a guest writer for The Do Lectures on their Medium Publication called “Do Contribute“, where I contribute a monthly thought piece. 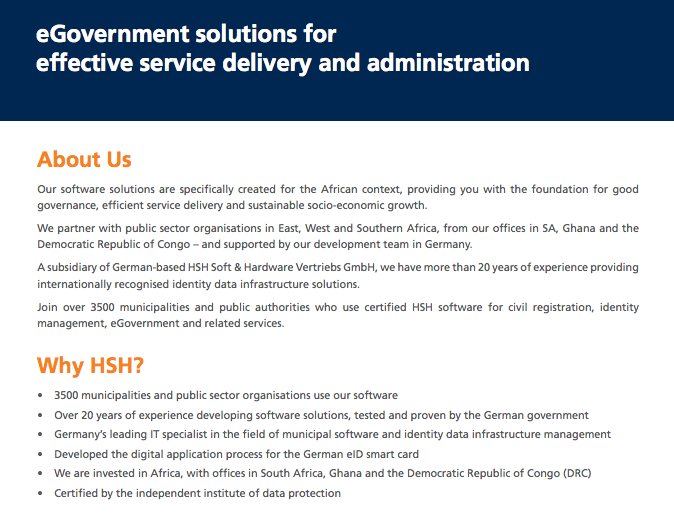 HSH Global create software solutions for municipalities and public sector organisations. In late 2014, I was contracted to write the copy for their new Company Profile document. HSH Company Profile – Click to view full document. The Straw Revolution is a simple straw bale house located on the West Coast of South Africa. The owners offer the venue as self-catering accommodation for vacation rentals. They wanted to create a website and e-brochure to advertise the venue. 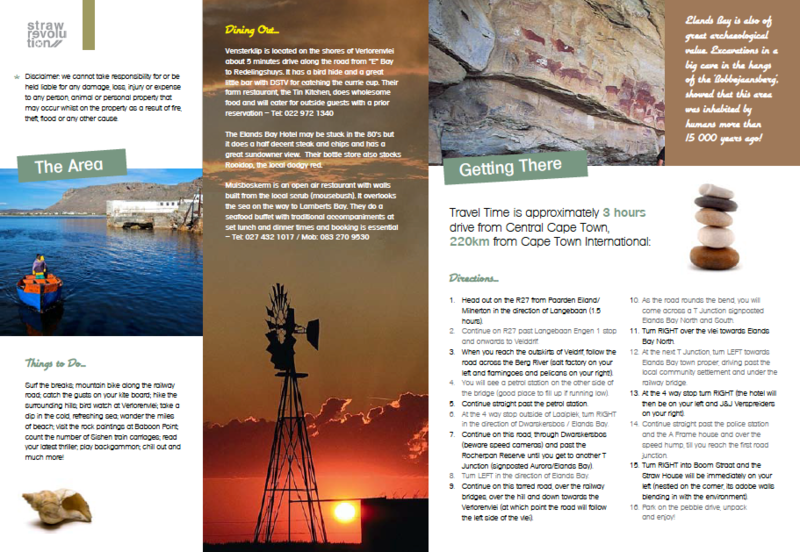 Contributed written content for both the website and fact sheet. Edited the final versions of both before ‘go live’. 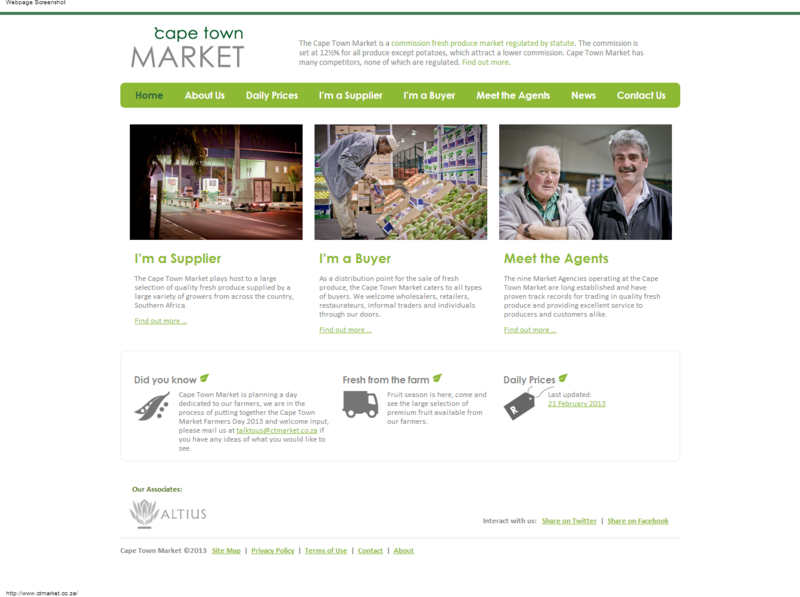 Cape Town Market is a fresh produce wholesale market on the outskirts of Cape Town. When they commissioned a website revamp in 2012, I was sub-contracted by their Graphic Design Agency to edit their existing website copy and write additional copy for new web pages. Click to view the website in real time. 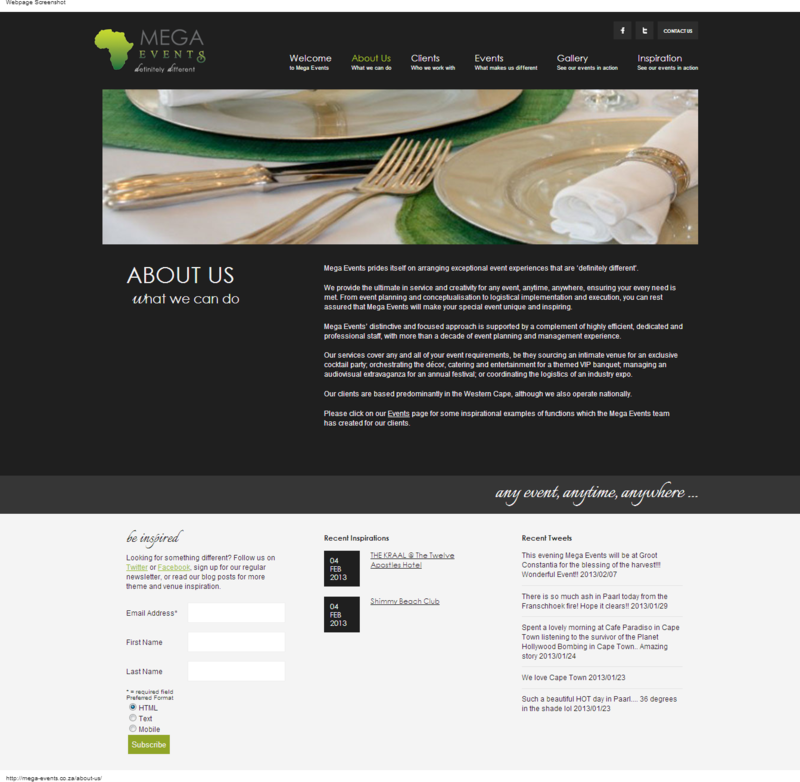 When Mega Events commissioned a new website in 2013, I was sub-contracted to write the website copy. They have subsequently been bought by a competitor, so the website is no longer active, but you can click on these two screenshots to view and enlarge. 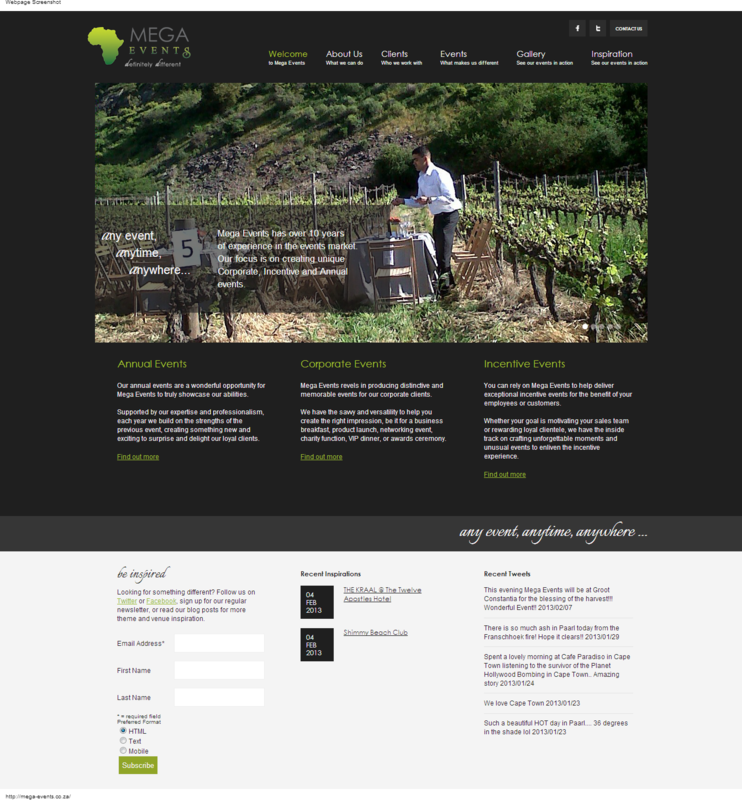 Mega Events Home Page – Click to enlarge. Mega Events About Us – Click to enlarge.